FlexSol Solutions offers energy-neutral street lighting solutions for the public and commercial sector. Such as the Soluxio solar street light and the Soluxio Connect. Soluxio is a high-end solar lighting and communication system that runs entirely on solar power. The FlexSol Solar roof tile offers a highly efficient, scalable solution for the building integrated photovoltaics sector. This ceramic, PV solar roof tile powers your house, while complementing the building’s architectural style. The NxT solar bollard is an off-grid solar lighting system that complements gardens, driveways or private terrains with cutting-edge designs. With endless solar outdoor lighting possibilities, the NxT solar pathway lighting offers the perfect solution for the residential and hospitality sector. FlexSol Solutions is a Dutch high-tech company with over 17 years of experience in solar technology. The company was founded on a unique and patented technology for curving highly efficient mono-crystalline silicon solar cells. By integrating this technique with our leading innovations, we are successfully creating the most advanced and sophisticated solar products on the market. The Soluxio is an example of what years of experience and innovation has resulted in; the most advanced solar product of its kind. FlexSol was the first company to implement smart machine learning algorithms, high-end lithium batteries and smart communication systems in her products. 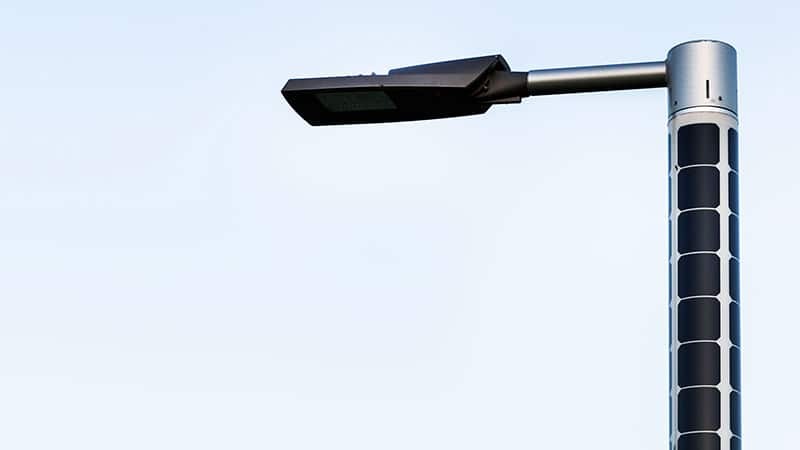 Soluxio solar street lighting modernises the streets with energy-neutral technology. 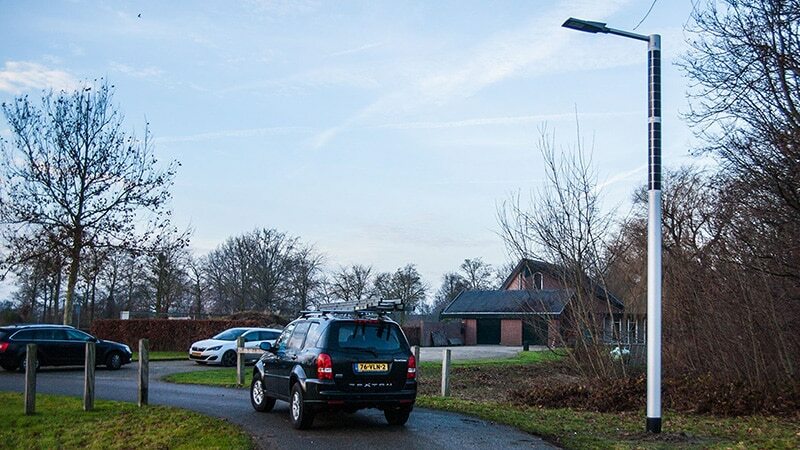 Soluxio offers a self-powered lighting column that is ideal for lighting locations without access to a power grid, or environments where connectivity is key. This solar-powered light pole features a range of smart city applications, such as transmitting WiFi or mobile network signals, weather prediction, independent solar module operation, and motion detection. Soluxio lights the streets of tomorrow. By capturing the energy of the sun, the FlexSol Solar roof tile offers the ideal solution for making your home self-powered. 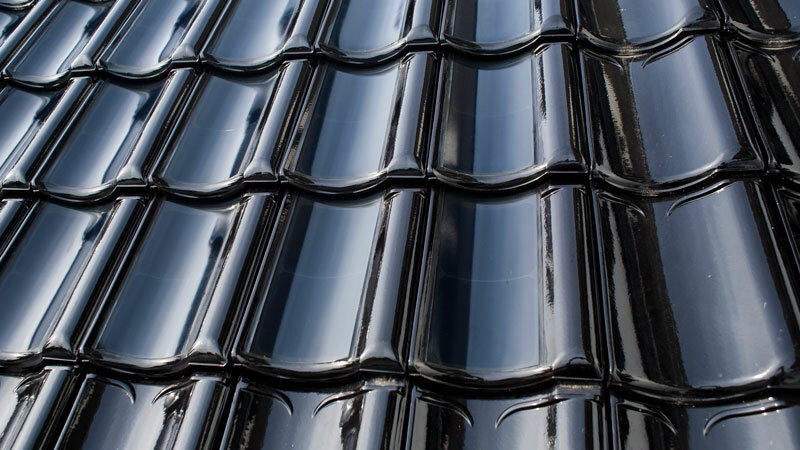 The integrated PV surface of these ceramic roof tiles is curved, creating a look that seemly fits in traditional roofs. The solar roof tiles thus power your house while complementing its architecture. The advanced photovoltaic systems in the traditional tiles turn your house into a smart building with classical aesthetics. NxT solar outdoor lighting offers an RGBW rainbow-palette of lighting options for private and public terrains. With this solar-powered lamp in your garden, there is no need to dig in your property and connect to the electrical grid. Simply plug the solar bollard in the soil and wait for the sun to go down. The LED light turns on automatically after sunset, and shuts itself off when the sun rises. You don’t even have to press a single button for NxT to work. However, it is also possible to design a custom lighting plan from your smartphone. Seamless integration with home automation systems offers endless lighting possibilities. The future is NxT. The Soluxio Grid offers a cost-efficient solution to making existing infrastructures modern and sustainable. 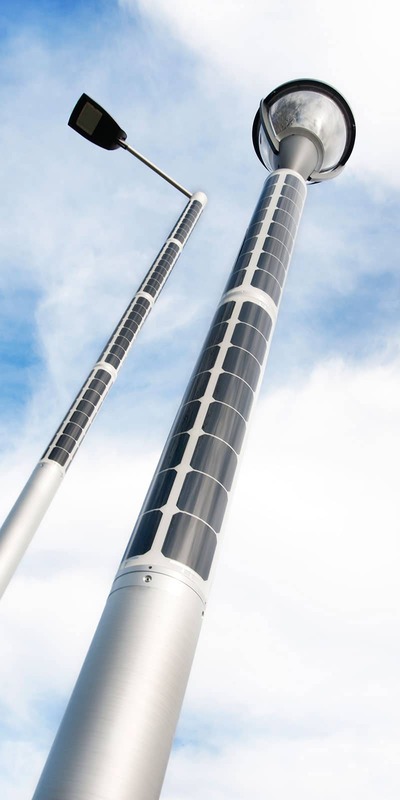 This cutting-edge solar street light feeds solar energy into the power grid during the day, and withdraws what it needs to light the streets after sunset. Soluxio Grid is CO2-neutral and cost-efficient, while also featuring the same cutting-edge design and quality as the rest of the Soluxio product line. Refurbish the streets with the efficiency and aesthetics of the Soluxio Grid. The Soluxio Connect offers a mobile network and WiFi access point that can connect every device everywhere in the world – even in locations without an internet connection. 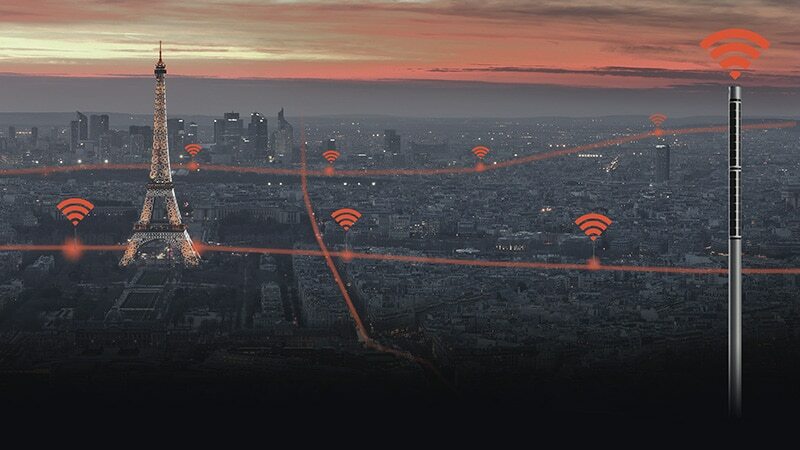 Advanced solar technology powers a hotspot for 4G data transmission or powerful WiFi mesh networking. When attached to an existing (wired) internet connection, the Soluxio Connect serves as a range extender for large area coverage. However, when there is no internet connection available, the Soluxio Connect can transmit WiFi wirelessly with a 4G cellular mobile router. Connect the world. Even remote mountain roads or streets in protected nature reserves can now be made safely on. 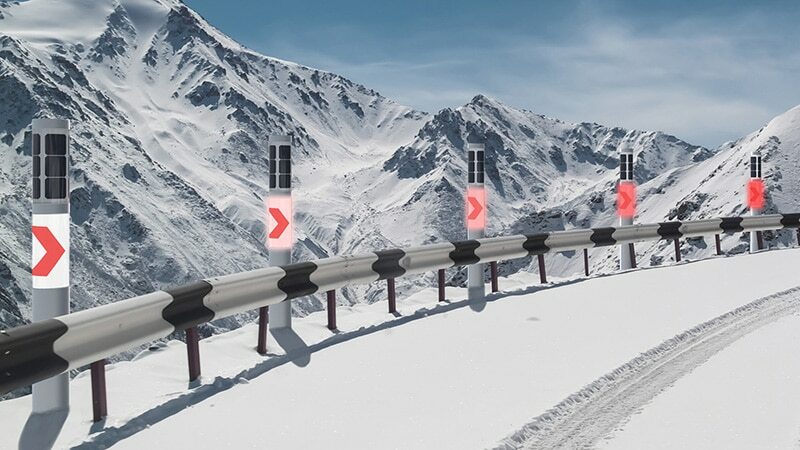 The NxT Road offers road safety without having to trench a power grid. LED chevron lights powered by solar energy stored in high capacity lithium batteries offers a consistent, reliable form of lighting. Even when there is a power outage, NxT Road will keep drivers safe. Enhance the roads with sustainable warning lights. Subscribe to our newsletter and be the first to receive our latest developments in solar power.